For commercial use in apartments, hotels, and more. Never have to deal with another tenant complaint and clear away the looming threat of lawsuits. Don't let your business be a victim of a growing and serious concern! 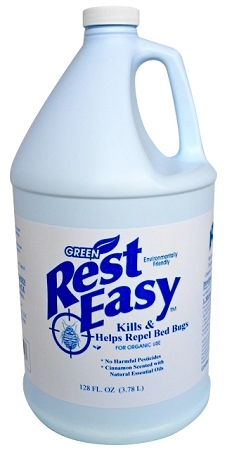 Rest Easy is an all-natural non-pesticide that kills and repels bedbugs. It has a pleasant cinnamon scent and can kill other small insects, such as bed mites. The Gallon Jugs are the most economical and cost-effective way to purchase Rest Easy!